(a) Remove the nut and disconnect the lead wire from the magnetic switch. (b) Remove the 2 screws holding the magnetic switch to the starter drive housing. (c) Remove the magnetic switch. 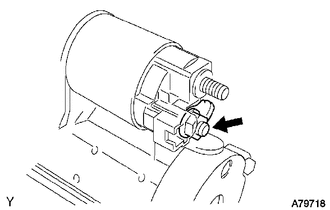 (d) Remove the return spring and plunger from the starter drive housing. 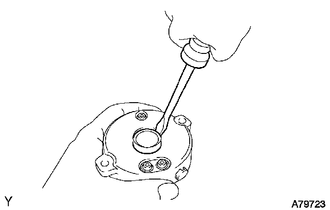 (a) Remove the 2 through-bolts, and pull out the starter yoke together with the commutator end frame. 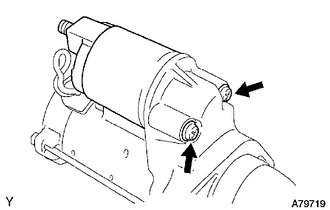 (b) Remove the starter yoke from the commutator end frame. 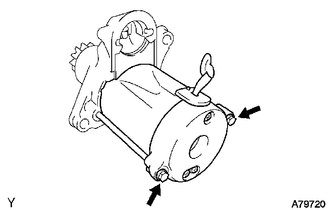 (a) Remove the armature plate from the starter yoke. 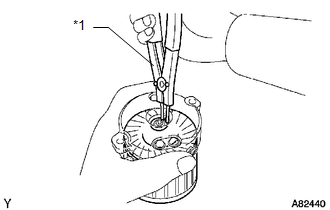 (a) Using a screwdriver, pry out the commutator end frame cover. 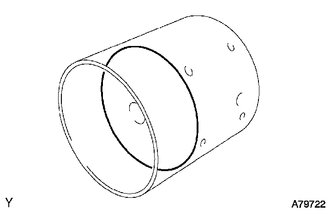 (a) Using snap ring pliers, remove the snap ring and plate washer. Do not drop the starter armature assembly. 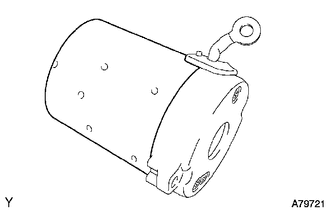 (b) Remove the armature from the commutator end frame. 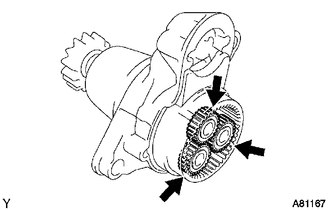 (a) Remove the 3 planetary gears from the starter drive housing.